I hear this question on a daily basis. Today, there are so many options for supplements that it can be a bit overwhelming. You probably see a new article everyday telling you something different that you need to run and buy off the shelves. Do NOT buy into everything you hear. Let’s start by saying this… There is no magic pill. Supplements are not a bad thing, and they can be very beneficial. Whether you are trying to lose weight, lower cholesterol, lower blood sugar, or gain energy; there are typically lifestyle changes that need to happen. 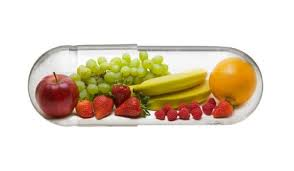 Nutritional supplements are great to support you as you head towards your healthier lifestyle. The next thing you have to realize is, All supplements are not created equal. When you purchase supplements, check to see if there are any artificial ingredients, fillers, or toxins hiding out in the ingredient list. You might be shocked to see that “health stores” are sometimes full of the most toxic products. This just leaves us with the big question… What supplements should I take? It doesn’t have to be an overwhelming amount of pills and powders. Actually, most of your nutrition should come from real food! I recommend for most of my patients to start with the 4 basics. 1) Whey Protein – Whey protein powder can be a great way to easily increase protein intake if you are a gym enthusiast, or you want to lose weight. It typically comes in flavored options such as chocolate or vanilla. This is where reading labels really comes into play! Look for powders that are sweetened with natural sources such as stevia instead of artificial sweeteners. Check out this website to learn more about the facts and benefits of whey protein. 2) Fish Oil- fish oils contain essential fatty acids. These can act as natural anti-inflammatories. They help with joint pain, skin hydration, hair growth, and several other health benefits. 3) Probiotic- I could write (and probably will) an entire blog about gut health. I believe that poor gut health is one of the main causes of several chronic inflammatory diseases. Our intestinal fauna is made up of several GOOD bacteria that help to keep our gut and immune response in check. Probiotics help support and flourish the intestinal fauna. 4) Vitamin D- This vitamin packs a punch. Not only does it help with keeping bones strong, but also plays a role in cell growth modulation, apoptosis, inflammation, and neuromuscular function. Deficiencies of Vitamin D can lead to severe consequences like osteoporosis and even cancer risks. The National Institute for Health has a ton of information and research. Check out this link! Remember, supplements don’t have to be overwhelming. Check for reliable brand names with minimal synthesized ingredients. I often say, “don’t buy the cheapest, but don’t buy the most expensive”. If you have any questions don’t hesitate to contact us! Please keep in mind that before you start any new supplement regime you should consult with your primary care physician, or schedule an appointment to come in and discuss it with Dr. A!